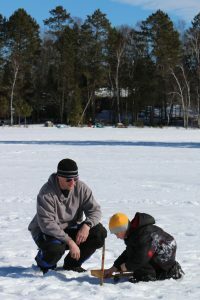 Ice fishing tournament on Boulder Lake. Cash prizes, raffle drawings, food & beverages. Proceeds benefit the Boat Landing Improvement Fund. Boulder Lake Landing. Registration at 7am with walk-in registrations welcome throughout the day. Awards at 4:30pm. $30/adults, $10/kids 12 and under.